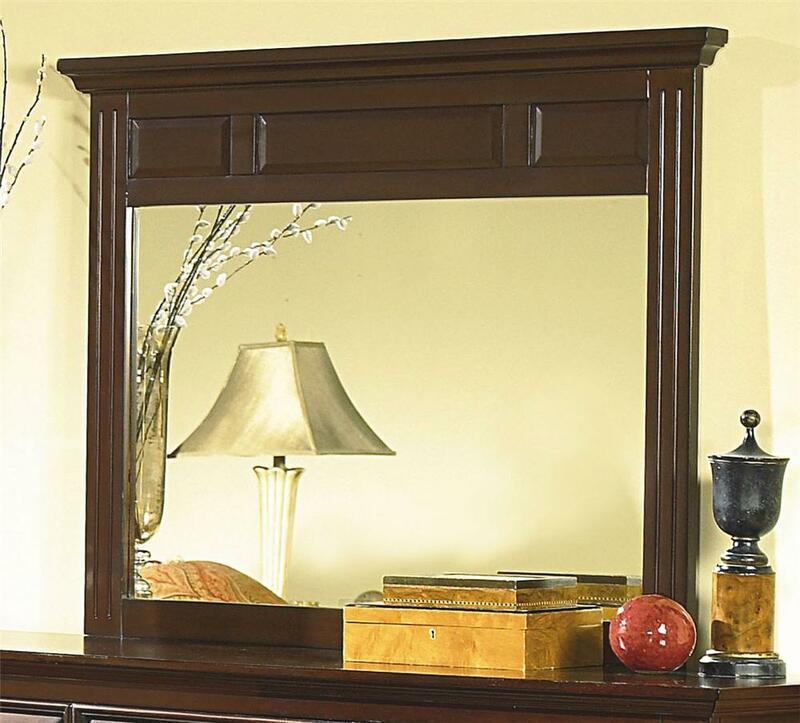 Add the illusion of depth and additional light into your room with this large dresser mirror. 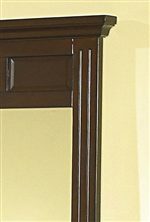 The mirror features a thick moulding on the top that emphasizes the clean lines of the piece. Sparkling glass is surrounded by rich, warmly finished wood that contrasts beautifully against the mirrored surface. Great for getting ready on busy weekday mornings, take a quick glance at your reflection before heading out the door! A wonderful piece to add to any room, bring this Traditional mirror into your guest or master bedroom today! The Drayton Hall Landscape Mirror by New Classic at Michael's Furniture Warehouse in the San Fernando & Los Angeles area. Product availability may vary. Contact us for the most current availability on this product. 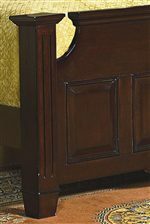 The Drayton Hall collection is a great option if you are looking for Transitional furniture in the San Fernando & Los Angeles area. Browse other items in the Drayton Hall collection from Michael's Furniture Warehouse in the San Fernando & Los Angeles area.